I’ve got your new food addiction! Cheese-less cheese. Yes, it’s better than the real thing. But don’t worry, this vegan nacho cheese sauce is actually harmless because it’s made with potatoes and carrots. Woo hoo! The stuff in a jar always costs a damn ton, and I find it kind of artificial tasting. You’ll get none of that with this version! As long as you have a high powered blender on hand, you can combine these better-for-you ingredients and get dipping in no time. Once it’s ready, you can go traditional and dunk in some corn tortilla chips like I did in the photos. You should also try this stuff on jazzy plates like lentil chili cheese nachos, nachos supreme or mean green vegan nachos. Whatever combination of toppings you pair it with, you’ll be yelling “It’s nacho cheese!” anytime someone tries to swipe a bite. Ha ha ha… get it? Cut me some slack. I’m a food blogger, not a comedian. Anyway, scroll down for the full recipe. This vegan nacho cheese sauce is addicting and life changing! Boil the potatoes and carrots in pot of water for approximately 10 minutes. Drain them from the boiling water and add to a high-powered blender immediately. If you cook the potatoes for too long, they will become starchy and your sauce will not be smooth. This recipe will not work in a conventional blender. The potatoes need to be whipped at a high enough speed that they break down and emulsify, creating a smooth and creamy cheese-like sauce, with undetectable potato! You'll need a Vitamix or Blendtec. I've made it in a Magic Bullet in a half batch and it also worked well. Add the remaining ingredients to the blender and combine until smooth. Your sauce may be hot enough to serve immediately, if you're in a rush, or heat it up in a small pot to thicken it slightly before pouring over whatever food you want to make cheesier! How about chips, chili, broccoli, or cauliflower for starters. Just made this, and really good! The texture is just like nacho cheese, and pairs really well with tortilla chips. Think I might try some on some roasted potato slices tonight. Thanks for a worthy vegan recipe I will be making again! whats the significance of the arrowroot? is it specifically for thickening purposes? if so would cornstarch work just as well? it is for thickening. I prefer it to cornstarch but that would also work too. You may find it goopier but do try and let me know! This really does taste like nacho cheese. I am so impressed, I followed the directions exactly and my regular (crappy) blender was able to get it smooth. Thanks for sharing!!! Oh good! I’m so glad it works in a regular blender. We don’t have one to try it out. YAY! hmmm not sure what you’re referring too? The sign up to the newsletter takes you to mail chimp and only needs name and email! I hope it worked. OR i can manually add you if you want? does it have to be sunflower oil or can other oils work as well? Made this to take to a family get together (baked potato bar) with one small change (subbed cashews for the oil and added a bit more milk). It was freaking amazing. Eerily spot on. Next time? Nachos (clearly). Tricked a non vegan with this one 😉 Thanks for the stellar recipe! Hey Lauren! Love your recipes! I’ve made this sauce about 3 times and on my last attempt I was very careful not to boil the carrots and potatoes for too long and when I tasted the sauce, it was a little bit gritty. Do you think I would need a high power blender for this to make it smooth? Any ideas for turning this recipe into something else? I naively tried olive oil instead of sunflower oil and it just tastes funky. Anyone creative out there have ideas for me to salvage this sauce? hmm ya that’s why it’s always best to follow recipes, SOMETIMES anyway! Maybe you can make it into more of a pasta sauce? Add more tomato paste to it? This is the best vegan cheese I’ve had, tomato paste or not. Thank you! I followed the recipe, but the texture was off a bit. The carrot was still in tiny shreds even after I blended everything for 10 minutes. Do you know how I could fix this? I love your channel! I successfully made this in my ninja blender using the personal/one serving smoothie cup instead of the big pitcher. In order to find that success I had to add about a 1/4 cup of water and voilà! Is there anything else I can replace the arrowroot flour for? Made this recipe without any adjustments! SOOOOOOOO GOOOOOD! Thank you! Are the jalapeños and the pickling juice necessary for the flavor? soo. i made this the second time now. i didn’t find any arrowroot flour in the supermarket but i had xanthan at home, so i used this. the first attempt (weeks ago) was a little thick but now i used much less (1ml, i’m not sure what this measurement is in teaspoons.) and yep, best nacho cheese ever. if you don’t know this is vegan you’d never guess, it tastes like the ‘real’ deal. Wow this sauce is amazing! Althoug i didn’t realise it would make so much, now I have to come up with things to eat with this sauce. For how long can I store it in the fridge? ya! Well we tend to eat it with just plain nacho chips as a snack with some extra salsa. You can make a spicy mac & cheese with it. You can drizzle it over a baked sweet potato or baked potato. French fries… really it’s endless! It should last about a week. When you reheat it you just might need to add some more liquid like water or non-dairy milk to thin it back out. But it will get nice and smooth again! Do you boil your water before adding the potatoes and carrots? I was taught to start potatoes in cold water, but when I tried that method with this recipe I got the "not smooth" result you had warned of. It made a great cheesy pasta sauce though! (I omitted the jalapeños and arrowroot flour for this.) Thank you for all the inspiration! yes you cook the potatoes and carrots in boiling water. I think you’re thinking of hard boiled eggs? How they start in cold and the water heats up to boil? maybe not but that’s what it sounds like. I am just warning not to over cook your potatoes because they will become starchy and that may prevent the sauce from getting smooth like ours in the video/picture. Could You tell me what brand’s nutritional yeast You are using? Also for the garlic and onion powder. Honestly, it comes together so fast, I should just make another batch and answer my own questions, haha. hI sASHA, YOU MIGHT WANT TO TRY USING A VARIETY OF POTATOES LIKE THE SMALL RED OR YELLOW NEW POTATOES OR BOILER POTATOES. tHEY TEND TO HAVE A SMOOTHER LESS GRAINY TEXTURE, COMPARED TO A RUSSET OR LARGER BAKING TYPE POTATO. First off thank you for inspiring me to eat more plant based and with all your recipes it’s going to make it more fesible for me. I know recipes are trial and error for some and sadly this one is a no go for me. However chances are I did something to the sauce (it had too much of a pungent smell for me) but we are having some of your butternut squash (potato in our case) tacos tonight and I’m positive those will turn out better. would i be able to store this and heat it up later? yes definitely. Doesn’t it say that?! Anyway heats up well, just might need to add a little liquid to loosen it over the heat again! What non-dairy milk do you use specifically on this recipe? And if you change it up, which one do you use most often? I would be worried that Silk Almond Milk might mess with the flavor of the sauce. we actually mostly always use Silk unsweetened almond milk in everything unless we mention to use Soy milk. It’s always unsweetened though. Either would be fine in this recipe! This looks soo amazing! Cant wait to make it! This recipe is life changing… I like to add some water to make it a bit more runny then serve it piping hot, and it reminds me of the real stuff I had as a kid! A couple of my non vegan friends tried it and loved it as well. I got a request to make this for my friends baby shower, can’t wait to see more non vegans try it! love this recipe, but in a health point of view, it would be better to use olive oil 🙂 thanks for this!!!! dinner is sorted for tonight. One more question, finally plan to make it soon, does the type of oil you use matter? I’ve heard not sich good things about sunflower oil. I was thinking maybe a refined coconut oil. Had to use refined but otherwise it will taste like coconut. Or maybe an avocado oil? someone mentioned they can taste the olive oil… so you want to use something neutral. Not sure if you would taste coconut or avocado. This is a great recipe as is and also good to use as a base/template to tweak to your liking. Next time I make it I’m going to try adding half of a roasted red pepper (or more) and less jalapeño. I’ve also heard that miso paste and cauliflower go well in these sauces. I feel like once I can get this sauce the way I like it, then it will be a total game changer!! This is a complete success for our family! We use canola oil and cornstarch as thickener (because that’s what we had) and it was a great hit at game-night. And as new vegans, it’s part of our go-to quick meal: baked potato with nacho cheese and broccoli. Thanks for all the yumminess! This was delicious and non-vegan approved! I used yellow potatoes, corn oil, and corn starch and the sauce was perfect on corn chips with chile black beans and tomatoes. My mom loved the jalopeño flavor and was surprised it was dairy free. She started dipping veggies in the sauce once the chips were all gone. Great texture, great flavor, not feeling gross afterward. hello! could this work with tappioca flour??? Hey Lauren! I’m gearing up to make vegan mac and cheese and want my sauce more so "saucy" than think… and am wondering why no cashews in this recipe? What do the cashews add/not add to vegan cheese? you can make nacho cheese with cashews as well , but this is just as creamy and just another option… for those nut free folks. Trust us, you wont be disappointed. We also have a recipe for mac & cheese made with a cashew based sauce. This one also works though on pasta! I’m going to a potluck and was planning on bringing your macaroni skillet, but it’s a HCLF potluck, so I can’t use oil!! Any ideas on how to substitute the oil in this recipe? I see that this recipe, aside from the one on Youtube, lists tomato paste, will I be fine without it? This is so, so good. It brings back memories of the nacho cheese sauce I used to get at the movies when I was a kid, but it’s so much better taste wise and tons healthier. I want to pour it on everything! My mom says this is her favorite vegan cheese. We’re both convinced that an omnivore wouldn’t be able to tell the difference between this and real nacho cheese because it tastes like the real deal. Make it! I just made this and put it on pasta and it’s delicious. I used sweet potatoes instead of white potatoes. 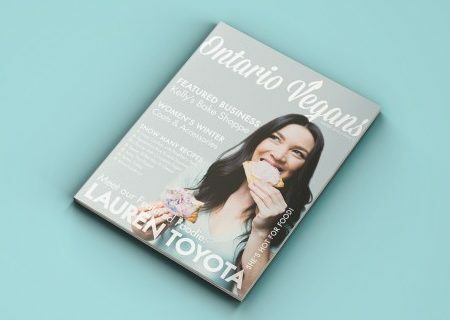 Thanks for sharing such creative amazing vegan recipes! You guys have become my go to site for vegan recipes. I just made this to top the Minimalist Baker’s quinoa taco meat and HOLYYYY it was good! I used olive oil instead since that’s what I had on hand and it was great on just tortilla chips alone. yaaa we always just eat it with chips. Thanks for sharing! A little late to reply but just in case: It really depends on where you live. If you live in a more rural area you may not find it at your grocery store so perhaps you could order it online (Amazon.com or iHerb are just a couple ideas). If your store does have it it would be in the baking section or natural foods type section. Some stores even have it in bulk. And a Natural food store would be even more likely. It calls for Arrowroot Flour aka Arrowroot Starch. But she said in a comment that Tapioca Starch will work too. I think that one is a little more common. If none of that works, someone else in the comments said they used corn starch with no problem. If a recipe called for a larger amount of it subbing it may not work as well but in this case it should be fine. Welcome to the Vegan world, its a wonderful place to be!! I am intolerant to potatoes so would there be anyway to substitute the potato for this? Maybe another vegetable? I made this today and could not believe how delicious it was! I was very skeptical and did not believe something with a base of blended potatoes and carrots would taste like cheese. I was surprised, and cannot wait to make this again. Thank you so much! just add a small amount at a time and blend then taste. ACV is more powerful than the jalapeno pickling liquid. Starrt with a tsp and then see what you think. You want a sharp bite but not an overwhelming vinegar taste or smell. You guys are amazing, and all your recipes are so bomb. I’ve tried sooooooo many different nacho cheese recipes with the potato and carrot base or with soaked cashews and all of it turned out tasting like crap. THISSSS THOUGH! I just made it and had to comment right away haha. As a side note though, how long can you store this for in the fridge, if at all? Hey Natalia! SOOOO happy you enjoyed this version. We think it’s bomb too! haha You can store in the fridge for a week. It is just veggies after all. But we’ve actually even frozen it! It re-heats up on the stove or in microwave great. YOU might need to add a little more non-dairy milk to it depending on your consistency preference but we usually don’t need to! This was amazing!!!! we had it first with nachos then i just HAD to have it again so i made the macaroni skillet posted on this website. im pretty sure i have to make this again to pour over broccoli! 10 / 10 !!! YAAAY! have you seen our broccoli and cheese stuffed shells! That cheese sauce is similar but with pumpkin! I made this last night with the addition of 1/2 of a small red pepper (because it was there) and my soooo not vegan husband could not eat enough of it! Thank you so much for this recipe. It’s a keeper. BIG fan of you and hot for food! ya I think that woudl work. If it got a little too thick you could just add a little more liquid to thin out! I have to say this is AMAZING. I just made it tonight and WHOA it tastes even better than real nacho cheese and it’s a LOT more healthier. The only thing different I did was to use Canola oil (That’s what I had on me), lime instead of lemon, and tapioca instead of arrowroot. I used the almond milk for the liquid. I do eat meat occasionally but this got me thinking to become a full blown vegan in the near future! Does the recipe taste just as nice without the jalapeño’s in it?? (not that good with heat) Thanks! I would use the brine or use pickle brine instead then. Leave out the pieces of jalapeno. Or you can just lessen how many you add. The brine itself isn’t too hot. I’ve made this without the jalapenos or the brine and it works well. I added about a tablespoon of mustard in to counteract that and a splash more milk or the boiling liquid from the potatoes and carrots. Tasted great! I have probably ate it after 2 weeks… although I am surprised you’ve had it that long… it’s so good! haha. Usually smelling is the key or if there’s mold on it. For future, this freezes well! Followed recipe exactly and poured on a stack of nachos with vegan chili. Nicely balanced and great texture if you emulsify for a bit. This is definitely a keeper. I bow to you. thank you for making this. game changer. Would you (or anyone who makes this) happen to know the potato and carrot conversion to already creamy mashed potatoes with nothing added (made from Bob’s red mill dehydrated potato flakes) and puréed plain cooked carrots (baby food)? Sometimes this is all I have or have time for. Sometimes I have no access to a stove or good blender. Thank you so much to whomever knows this or to whomever figured it out when making the sauce. I would say its just a bit under the cup for potatoes and a bit under 1/2 cup for the carrots. I don’t know what I was expecting when I made this but it wasn’t the awsomeness that I put into my mouth! I didn’t have arrowroot or corn starch so I skiped it and it was fine. I also only used about a tablespoon of oil. You are a food genius, Lauren! I made this as a cheese sauce for my pasta. It was fine at the beginning, but after emptying half a plate it just tasted weird. Which is strange, because I love all of those ingredients individually. I feel like it’s the carrots I don’t like in this combination. I’ll try and change the recipe to my liking. You can sub out the potatoes and carrots for pumpkin or squash or even sweet potato. I have tried the nacho cheese sauce about 10 times and it never works. Always too starchy and kind of weird. The flavor is fine,but not right. Made nachos for dinner and subbed the potato for cauliflower like John did in the nacho challenge and bam! Finally got it right. Oh my gosh, this is LEGIT! I just made a double batch for super bowl, blew my socks off. I had a hard time NOT eating it by the spoonful. I have a batch of brown rice tortilla chips in the oven. Thank you! Would this be cool to heat up in the microwave instead of heating it up on the stove after a day or so of being in the fridge? This recipe is fantastic! I have to admit, that I hesitated to make this, because I thought it can’t get better than a cashew based cheese sauce. I was blown away how cheesy the result turned out! Another great thing is that the ingredients are really inexpensive compared to the cashew version. Thank you! We love this!! So quick to make, great flavor. I’m going to a party and was thinking of making this as an appetizer. Will it keep at room temperature for a few hours or will it end up getting too thick and gluggy? Oh my goodness this was good… my teenage daughter’s new favorite thing in the world. I subbed what I had in the pantry for the tomato paste and jalapeño ingredients. Kind of oddly, I added 4 tablespoons from a can of enchilada sauce and 2 tablespoons can of green chile peppers and it turned out exactly right! Oh and I didn’t have carrots so I subbed sweet potatoes in the same amount. It was seriously the perfect color and taste. Thanks Lauren! We use at least one of your recipes every week and they always turn out great. I’m attempting to tackle the empire cookies for my daughters bday next 😬 Wish you would do a creamy (maybe yogurt based) lemon cake because although many vegan ones are out there, I think you’d make it best! i just made this and didn’t have white potato, so subbed sweet potato and the end of a bag of frozen hashbrowns to make the 1 cup. i have also noticed that jalapenos from a jar are better tasting than a can for this recipe. deeeeeeee-licious! This is serious comfort food, we had it with chips and veggies. Five stars for sure! I have frozen it without any problems. added veggie broth and broccoli and made a delicious broccoli cheddar soup. better than panera! I made this for the second time and this time it came out so much better. The first time I think I might’ve overcooked the veggies and that messed with the taste & texture. This time it was perfect. It tastes like nacho cheese, truly. If it doesn’t for you, you may be doing something wrong. I boiled half a roma tomato alongside the potatoes and carrots, instead of adding tomato paste, added turmeric for color, and nixed the oil for more milk. Used it to dip for some store-bought taquitos and topped it on nachos. So damn good. OMG!! Are you serious.. delicious! i really thought i was eating nachos!! It was really good and I was skeptical ! I’m glad I tried it, i loved it I had two plates of nachos. Good job guys! It was waaay to spicy for me, burned my mouth like hell. Should have put less jalapenos, my fault! Can this be made omitting the yeast? The nutritional yeast is the thing which gives meals its cheesy flavor, so I assume it won’t taste like a nacho cheese at all if you skip it. Uhh? Lauren? You’ve changed my entire life. The first time I made this, I overcooked the potatoes a bit so the texture was off. The second time I nailed it and was absolutely blown away! By far the best recipe I’ve come across for a vegan nacho cheese sauce, and it’s fairly healthy and affordable! Thanks so much for creating and sharing this, definitely going to be a recipe I hold on to. Yup. It’s amazing. Just made it for the first time. Way too pickle-y tasting. I would halve the amount of jalapenos and juice. I dont know what i did wrong, but when i made this my dip tasted nothing like nacho cheese. The consistency was perfect the taste not so much. It didn’t taste cheesy at all- i even added in an extra tbsp of nutritional yeast. The smell is even slightly repulsive. I haven’t tried it yet, but in general, I have yet to taste a vegan cheese that tastes like cheese. I have a theory that vegans either can’t remember what real cheese tastes like, or have never even had it. Vegan mozzarella is the worst; I’m Italian, having grown up on real, fresh, Buffalo milk mozza. The "best" vegan mozzas taste like salty rubber, and yes, I’m talking about Miyoko’s brand, too. Same with vegan "parm." Don’t even get me started. LEGALLY, parmesan cannot be called parmesan unless it originates in and is made by a certified producer in PARMA, Italy. There is no such thing as Vegan parm as far as I am concerned. That nut/yeast mixture vegans use in place of parm is just that, a nut/yeast mixture that of course, tastes NOTHING like real parmesan cheese. Hey Lauren! I am thinking of doing this recipe but I was wondering if the arrowroot flour is neccesary or if I could replace it with something else? Oh it’s so good. I’ve made it a couple of times now. Today I tried omitting the oil and replacing with almond milk. It turned out even better I think! This has totally changed the game for me!! 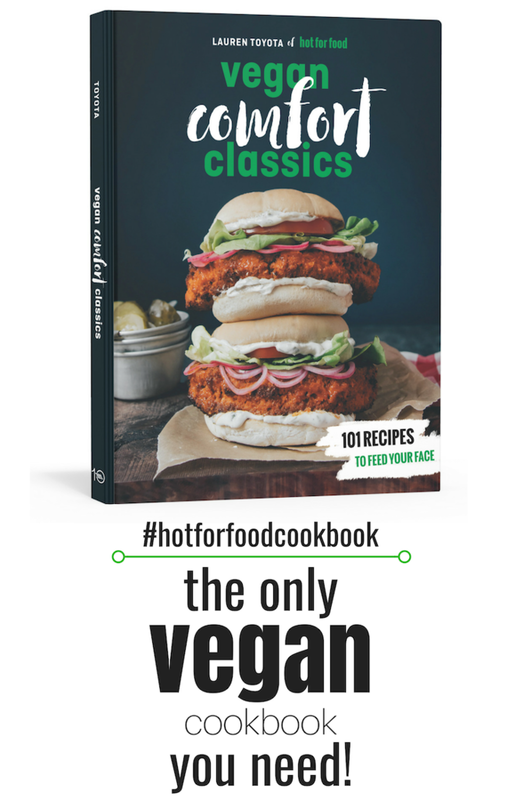 My family and I just hit 1 month vegan and we can’t believe the amazing recipes we have tried so far! I’ve binge watched pretty much all your you tube videos, and now I’m going through the blog. Thank you!! How cooked should the potato and carrot be? You say 10 minutes, but carrots take longer to cook than potato, so they would be harder after 10 minutes than the potato would be – just cooked enough to put a fork through? Or firmer than that? everything should be cut the same size so it does take the same amount of time. It shouldnt be mushy or too soft – no falling apart in the water when you grab it with a fork. You would want to be able to eat them as is. I ended up cooking the carrot a bit longer that the potato, probably closer to 15 minutes. I used a steamer for the carrots, and I boiled the potatoes. I cooked them until that were fork tender, but not mushy. I have tried several nacho cheese dips, and this one is the best. I actually didn’t have any arrow root or tomato paste, so I just left it out. Also, I did not add the oil, because I am trying to lose weight, so all of my meals are oil-free except for the occasional butter spray here and there. The recipe was a bit too spicy for me, but it was perfect for my husband. I also used 2 tbsp of nooch, because I freaking love that stuff! When I make it again, I will only use 1 or 2 jalapeno slices and 1 tbsp of the brine. Everything else was on point: color, texture and taste. I am so happy that I found an easy go-to cheese sauce. Thank you so much! This. Is. The most amazing thing I have ever eaten. Oh man, fabulous. Truly claps. This blog has given me my spark back in the kitchen. I’ve been wanting to try one of your recipes for a while now and only just realized I had everything for this nacho cheese. I actually didn’t add the oil because I thought the texture was perfect and didn’t need any added creaminess. You guys are great, keep up the fantastic work! Totally surprised by how amazing this is! I’ve been following fit for food and making their recipies for a while now but I’ve never made this because I’ve attempted other potato/carrot "cheese" recipies before that didn’t turn out so great…but this is delicious! When I pulled my potatoes out and they were moldy, I made this subbing white beans for the carrots and potatoes. Still so good!! The video doesn’t show the use of tomato paste, but the recipe calls for it? Do I need it or notttt? Um, this recipe is ridiculously good. I have tried other recipes from other sites that did not turn out well but this one is amazing! I literally did a happy dance around my kitchen after the first bite. I sorta followed the recipe, but was feeling lazy and used canned potato and carrot because I didn’t want to wait to boil them. I also added way more jalapeno and nutritional yeast and threw in a little salt to make it really indulgent. The results speak for themselves, and I will definitely be making this again. I can’t wait to have my boyfriend try it and tell him it’s vegan! BEST NACHO CHEESE EVER! When I say ever, I mean ever. The taste, texture, and smell are all on point. I made this for a New Years Eve party and we could not stop eating the nachos. This recipe is so addictive that I just made more to go with my lunch. Everyone needs this "cheese" in their life! I’ve made this four times now. I’m not vegan but I am lactose-intolerant and this is the best homemade vegan cheese recipe I’ve found. I made it with macaroni the first two times but now I just keep some on hand for a snack. Hi there! I haven’t made this yet, but I have a question. I don’t have a high-speed blender, but I do have an immersion blender. Could I use that to make the sauce? I’ve been making this recipe for over a year now and I keep meaning to leave a review (which I rarely do, so that speaks to how fabulous this recipe is!) This recipe is FANTASTIC folks!! I’m not vegan, but I love trying vegan dishes. Even my greek carnivore loving husband LOVES this vegan nacho cheese. It’s amazing! Thanks for sharing! Can i substitute the arrowroot flour/starch with regular cornstarch? Is anyone tried it ? I tried it, it works! I’ve made this recipe about four or five times and I love it! I always half the amount of nooch because I don’t love it, and this time I added 1/4 cup of an orange bell pepper and 1/4 cup of a white onion. I always add way more jalapenos. Just made this and I have to say it is the BEST VEGAN Cheesy sauce EVER!! Thanks for bringing a bit of joy to my world today! I love this recipe it’s so easy to make. I can believe how yummy it is. I’ve been making a while and I’m surprised everytime! My friend loved it. We had it with pasta. I love this recipe!! I can’t believe how long it took me to make it– I did make a few modifications after following the recipe exact. I personally felt like the jalepeno brine was a little too over powering for me. I doubled the recipe but next time I think I’ll half the jalepeno and brine. So I diluted it with some soy milk and then I felt like it needed some fats so I melted some vegan butter in a pot about 4/5 tbsp- and a little more soy milk and Bam I thought it was perfection!!! I love how this recipe doesn’t use nuts cause they’re expensive– this recipe is easy, cheap and delicious thanks Lauren!! I am not vegan – however I have high cholesterol and I’m staying away from dairy. Gave this recipe a shot – DID NOT DISAPPOINT! I will say I think it was too much brine for my liking and I do recommend eating it right away not saving it for later as the texture changes a bit. All personal preference but totally good. A keeper! Thank you!!!! Has anyone tried this with pickles and pickle brine in place of the jalapenos? I liked the jalapeno version, but I’m wondering if pickles would make it taste more like cheddar and less like nacho? yes I tell people with kids to use pickled brine – to taste! Don’t need to add actual pickles though. Wow! Just made this and it’s terrific! Thank you for sharing! SO EASY and surprisingly good. My husband isn’t a picky eater but when he likes something he really makes a point of letting me know that a particular dish was a hit, this was one of them. I only omitted the jalapenos. Love that it’s healthy. I normally stay away from vegan versions of non-vegan foods–I find the taste or texture or something is almost always off. In this case, though, it’s spot on! That sauce is AMAZING! I made it exactly as written except subbed cornstarch for arrowroot flour. Perfection! I also subbed a can of black beans for the veggie crumbles…turned out great! Thank you! For anyone sad that it says that you can’t use a normal blender: You CAN. I used a normal blender on puréed mode, just added the oil, spices, milk, etc (basically everything except the boiled veggies) & blended until combined, then I added the veggies 1/4 cup at a time, making sure it all got combined before adding the next scoop of carrots & potatoes! It took about 5 minutes of blending & adding & waiting & blending & adding & waiting BUT! It blended down to the smooth consistency of nacho cheese and IT IS WORTH THE EFFORT TO MAKE. so delicious!!! I’m REALLY hoping Lauren sees this comment and gives my method a try in a normal blender! I absolutely LOVE this recipe. OHHH good to know!!!! I don’t have a regular blender, but I was just going off of feedback from people who had tried it. Thanks for the hot tips!! !